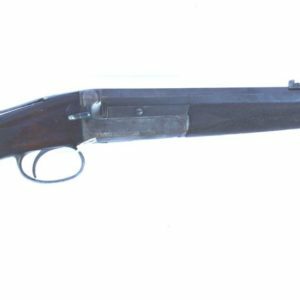 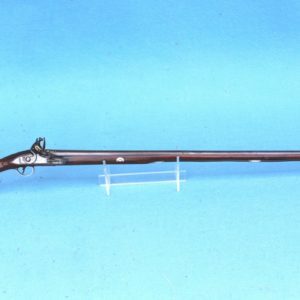 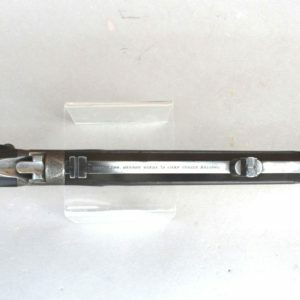 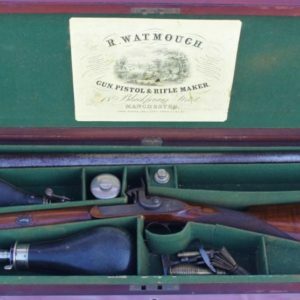 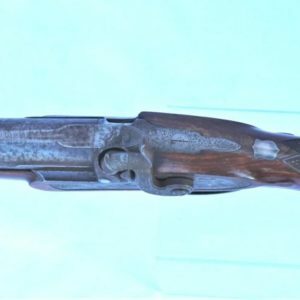 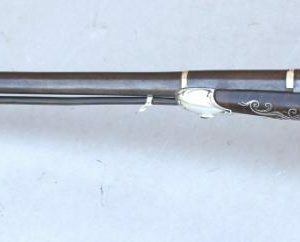 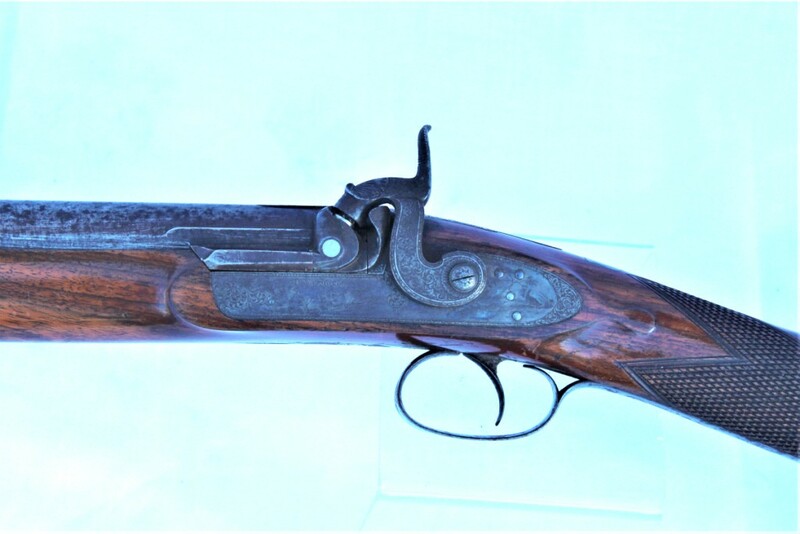 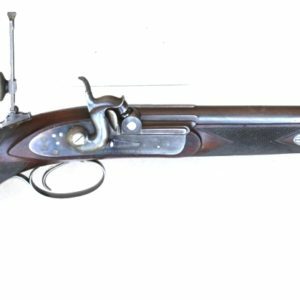 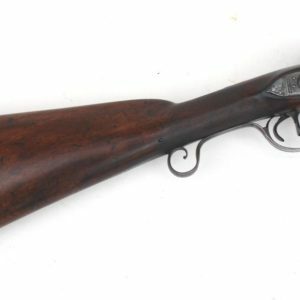 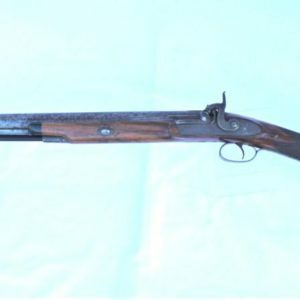 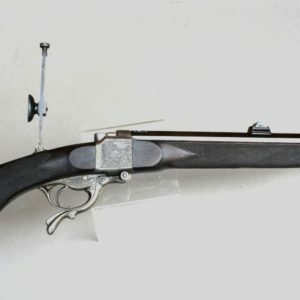 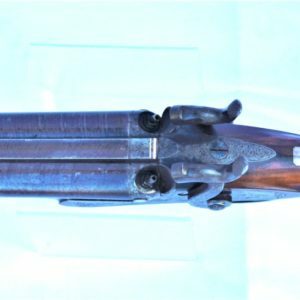 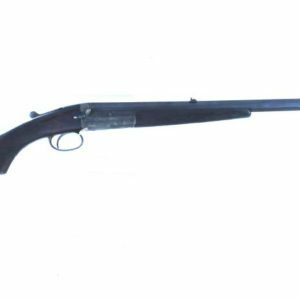 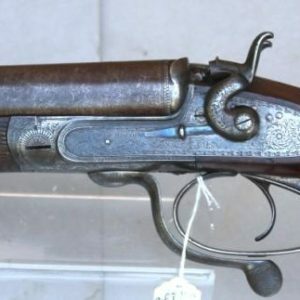 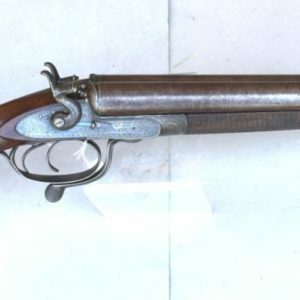 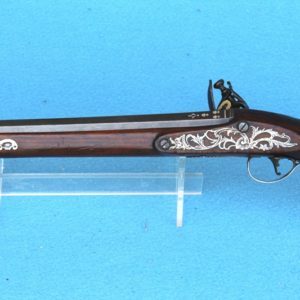 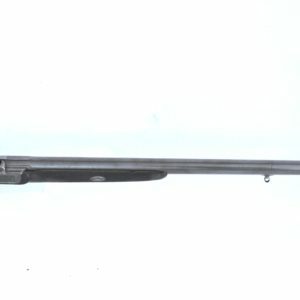 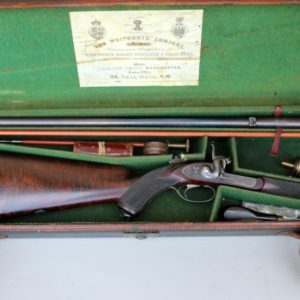 A fine cased 14 bore single barrel sporting gun with lefthanded lock by R Watmough 13 Blackfriars Street, Manchester, so marked on the barrel and lefthanded lock; 31 inch twist barrel and Birmingham proofs. 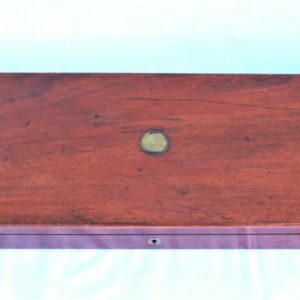 Contained within its green baize lined original mahogany case with makers trade label and a number of accessories. 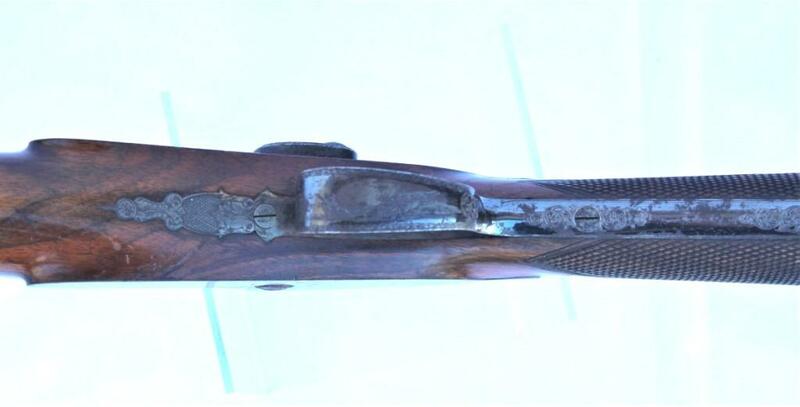 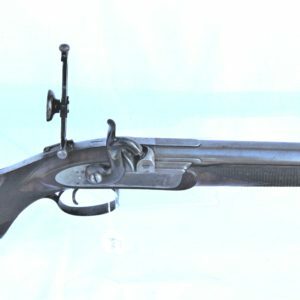 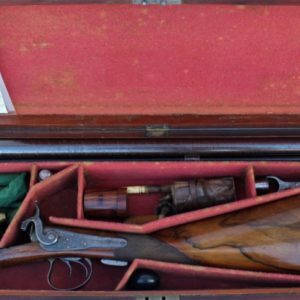 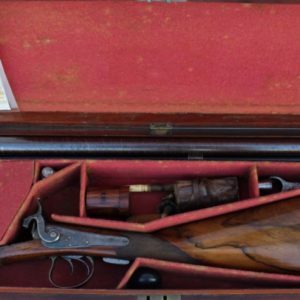 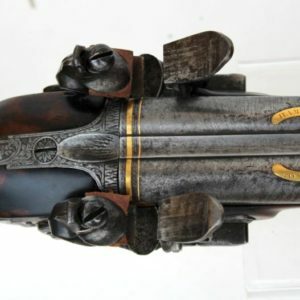 Condition: The metal work on the gun retains most of its original fire blue and case hardening finish. 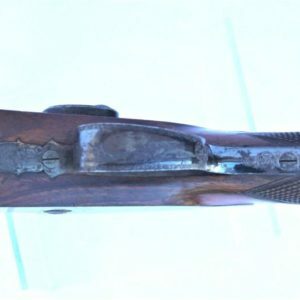 The stock has its original lacquer to it and the checkering is undamaged and original. 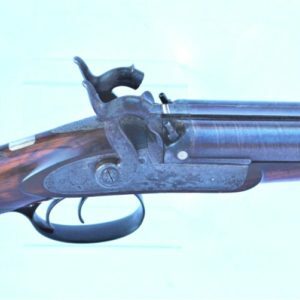 The case hardened lock plate is game scene engraved, crisp and unworn. 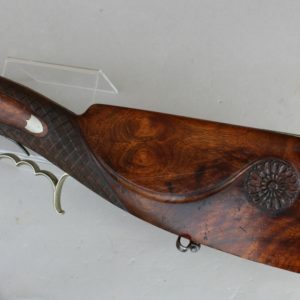 There is a further dog and game scene to the blued trigger guard bow. 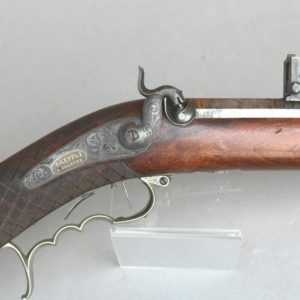 The gun is half stocked. 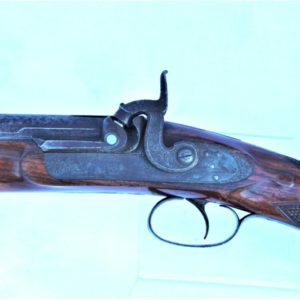 Condition: Most finishes are present, the barrel has its original browned finish to the twist but has some rust staining and marking in places, but it has not been refinished. 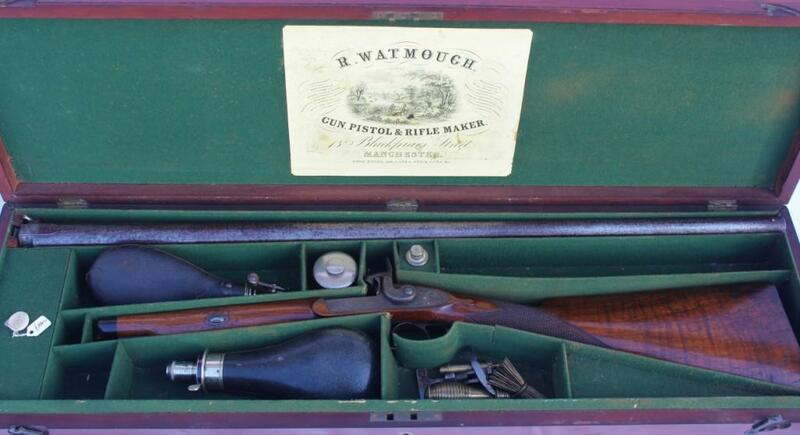 The original case accessories are in good condition throughout. 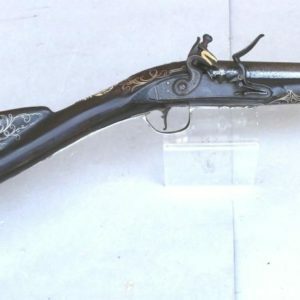 The gun still has its original brass and ebony wooden ramrod.